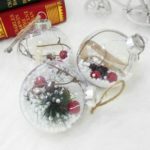 These Transparent Christmas Balls Lighting Pendant are creative and fashionable, perfect for Christmas tree decoration. 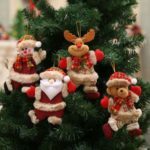 Add a festive look to your Christmas with the ornament, creating a Christmas atmosphere. Exquisite and fashionable, rich festive atmosphere, spicing up your Christmas. Best attraction to both kids and adults, suitable for office, home, hotel, mall, party, celebration, Christmas tree, etc. 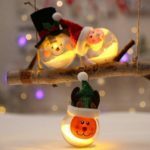 Clear ball shaped light, creative and fashionable, perfect for Christmas tree decoration.